Youth violence is a leading cause of death and injuries — each and every day 13 young people are victims of homicide and more than 1,600 are treated in emergency departments for nonfatal injuries. Research and experience show that we can prevent youth violence. Advances in our understanding of effective prevention strategies prove that we can do a lot more than simply respond when violence occurs. 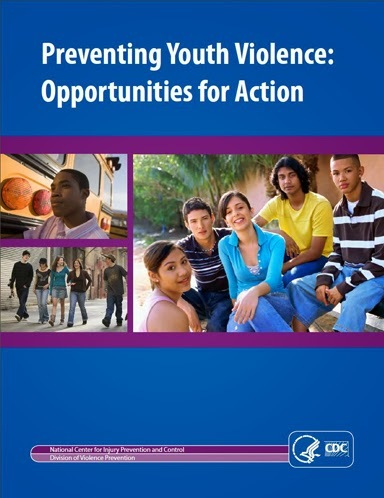 CDC’s Preventing Youth Violence: Opportunities for Action and its companion guide provide information and action steps to help all community members be a part of the solution. There are steps that community leaders and members, public health professionals, families, adults who work with youth, and young people can take today that can stop youth violence before it starts. Everyone has a role in preventing youth violence. Community leaders and members can take steps, such as enhancing the skills of young people and using evidence-based prevention strategies. Public health professionals can strengthen their community’s ability to understand and prevent youth violence through sharing information, using data, and continuing research. Families and other adults who work with youth can be nonviolent role models, closely monitor youth’s activities, and seek out help when needed. Youth can make safe choices and help others be violence free. The new releases explain these and other opportunities for action. It's never safe to leave a child unattended in a car. But it can be especially dangerous on a hot day, when a mistake can cost a life. 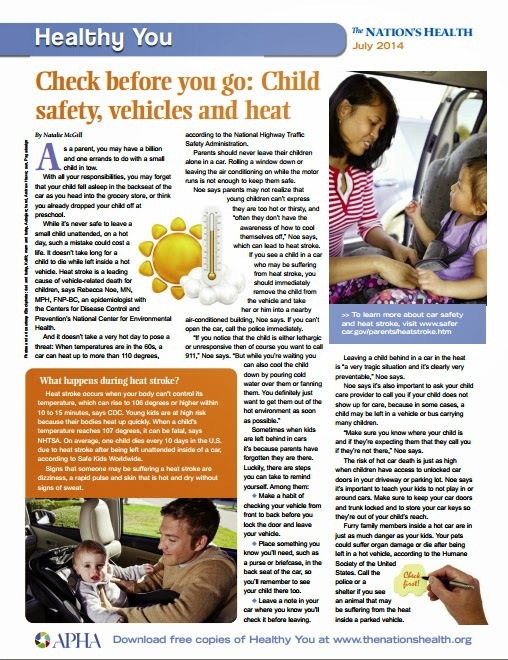 Learn the steps you can take to remind yourself to check the car before you leave. Listen to recording or download a podcast based on the interview. During the past several months, evaluators from the Colorado Department of Public Health and Environment (CDPHE) facilitated a planning process to engage internal and external stakeholders and develop an evaluation plan of the Colorado Child Fatality Prevention System (CFPS). A process evaluation of how the CFPS is implemented in order to provide data for continuous quality improvement during implementation and maintenance of the system and evidence-based recommendations for implementing and running a state-wide CFPS. Evaluation of the outcomes of the CFPS with a particular focus on how successful CFPS is at producing actionable prevention recommendations and the actions taken as a result of these recommendations. Beginning July 1, 2014, this multi-faceted evaluation will be implemented in order to capture the different processes that are occurring during the implementation of the CFPS as well as the outcomes of the 2013 legislation changes. The evaluation is proposed to occur over five years in order to capture short, medium, and long term outcomes. At the end of this five-year plan, it is envisioned that a similar evaluation design process will occur taking into account the findings of the last five years, new goals and any changing stakeholder goals for evaluation. Click this link to read the CFPS Evaluation Plan! I hope those traveling in made it safely and had a smooth check-in at the Marriott. 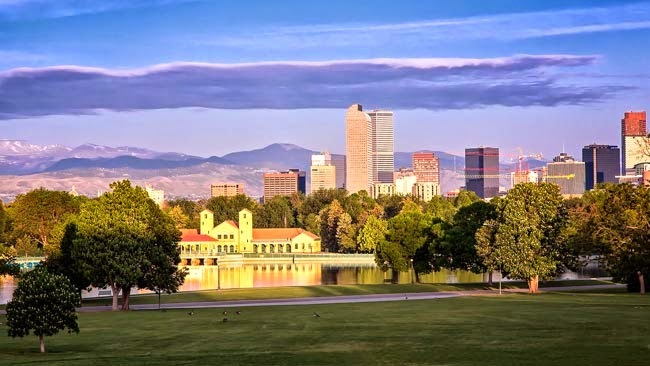 We certainly are excited to have you in Denver for this training! If you have any urgent needs as you are traveling to Denver, please call my cell: 720.883.7388. For those of you who were unable to attend, please stay tuned as I will be sure to post learning materials for you on this site. In order to save a few trees, the training slides and operations manual will only be available electronically. I would be happy to send you the full resolution versions as well; so, don't hesitate to ask.